Tour Guide in Portuguese and English. Owner of Bandana Walks. To open Marzito Guest Blog section, we welcome our dear friend and partner, Davor Finci. Besides being a great guide he is also graduated in Geography. So he can explain the Balkan territory with a lot of technical knowledge. He is also very adventurous and loves to be in nature. That is why he is always discovering the next hidden path. 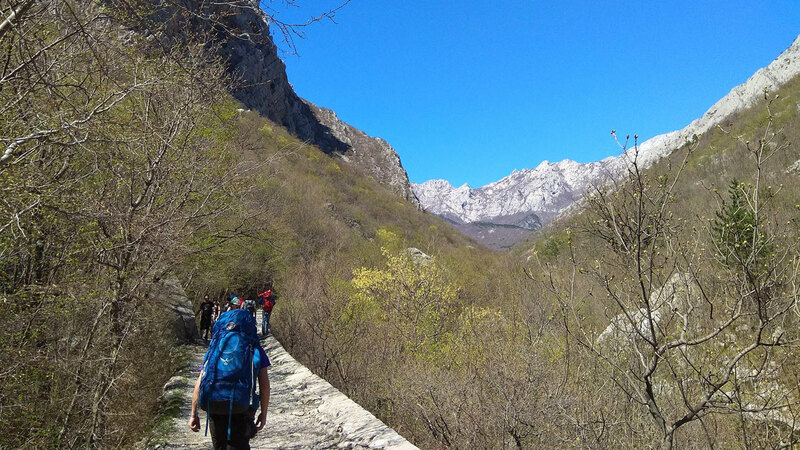 On this post, he tells us about Paklenica National Park. With the enormous popularity of Plitvice Lakes, many other national parks in Croatia stay overlooked by the visitors. So if you are more of an adventurous type and you want to avoid big crowds of tourists that inevitably happen during the summer months in Plitvice, there is a hidden marvel just an hour and a half drive to the south – Paklenica National Park. 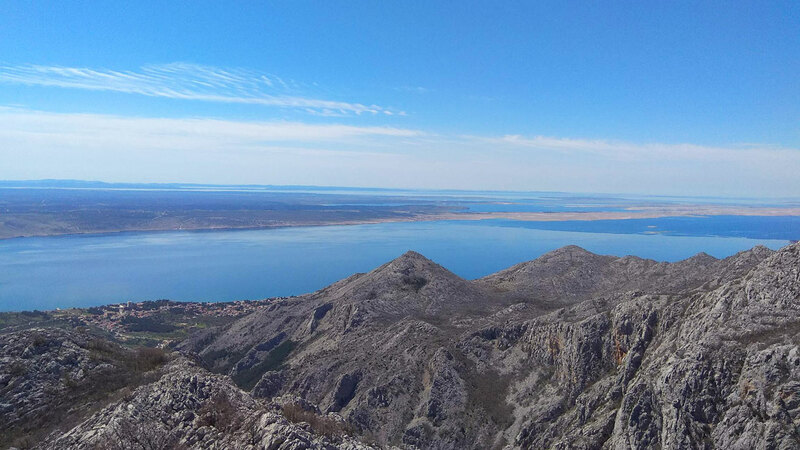 It is situated on the southern slopes of Velebit mountain, the biggest, the most rugged and the most symbolic mountain in Croatia that stretches for 150 kilometers from northwest to southeast along the Adriatic coast almost completely separating Dalmatia from the rest of the country. The national park which occupies some 95 square kilometers is actually a maze of canyons, towering rocks, mountain peaks, caves, and forests. 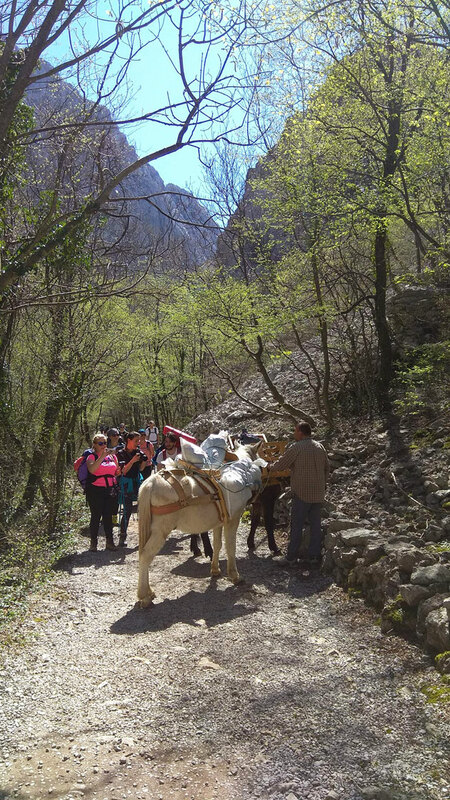 The highlights of the park are two deep canyons carved by seemingly small mountain streams called Velika Paklenica and Mala Paklenica. These canyons are a paradise for rock climbers that can choose one of over 400 paths to climb the vertical rocky slopes. “Anića kuk” is the biggest rock formation on Velebit mountain and a popular “playground” for climbers. If you are not into cliffhanging there are different hiking trails around the park, the easiest and the most beautiful being the one along Velika Paklenica river that takes you to the mountain lodge also called “Paklenica” where you can rest after the hike have some coffee or have something to eat*. On the way, it’s impossible not to notice the huge vertical rock called “Anića kuk”. It stands around 300m tall above the river and if you look carefully you will certainly find climbers trying to conquer this giant. 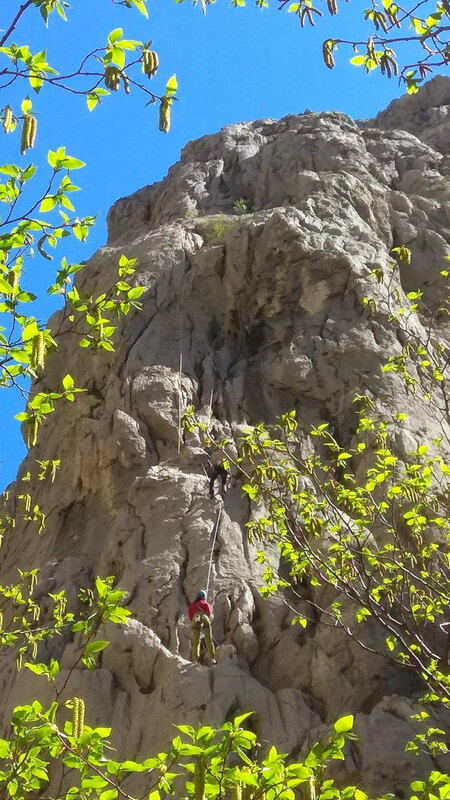 There is, of course, another, safer way to get to the top following a marked trail but be ready to climb over rough limestone boulders and you will need to use both your hands and legs. Nevertheless, the view of the mountain on one side and the sea on the other is well worth the effort. Right across the valley from “Anića kuk” there is another path that leads to a beautiful limestone cave “Manita peć” full of peculiar looking cave formations. 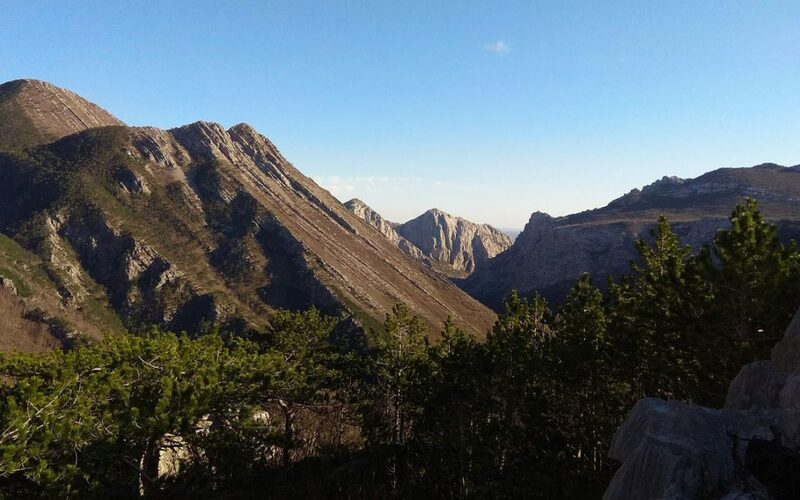 For those who want to conquer mountain peaks, the two highest points on Velebit mountain “Vaganski vrh” (1758m) and “Sveto Brdo” (1753m) are only about 5-6 hours hiking from the mountain lodge. Of course, before taking on any of the mountain trails consult with the local guides or the staff at the entrance to the park and ask them for a map. There is always an option of hiring a private mountain guide. *You should know that mountain lodges are no hotels so if you decide to stay overnight be ready to share the room with a lot of people and as for the food just ask the host to bring you what they have on that day…it’s probably beans and sausage. 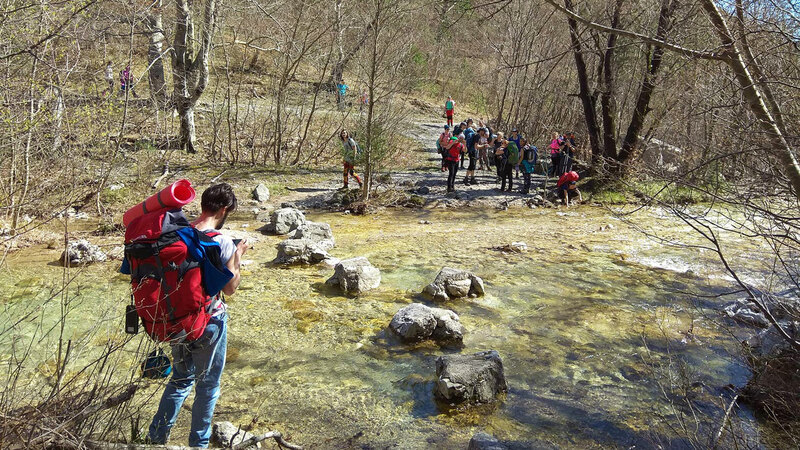 Crossing the Velika Paklenica river on some spots can be a little bit tricky. You can choose one of many trails through the park, each one offering beautiful views. The old abandoned stone houses that can be found near the trails are a reminder of the people that lived on the mountain. These were mostly mountain shepherds that for centuries followed the seasons taking their sheep and goats to the mountain pastures every summer as the lower coastal meadows dried out. This way of living required toughness and endurance so it is no wonder that even today we have a saying in Croatia for people born in mountain areas as being “built from rock”. Today, most of the locals abandoned the animal husbandry (even though there are still some shepherds to be found on Velebit) and turned to tourism. Actually if you continue some 10 minutes uphill from the mountain lodge “Paklenica” you will find a restaurant called “Ramića Dvori” where the friendly hosts will not hesitate to pour you huge amounts of the most famous local spirit rakija (I would say that it would be polite to have at least three shots before you refuse another round) and of course you can try the most famous Velebit specialty – roasted lamb. The food and supplies for the mountain lodges and homes can only be brought by donkeys. 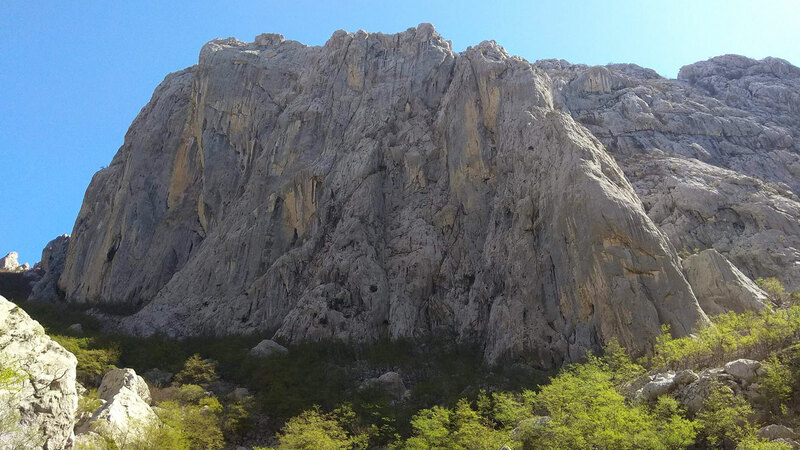 Paklenica National Park has different options of “playground” for climbers. 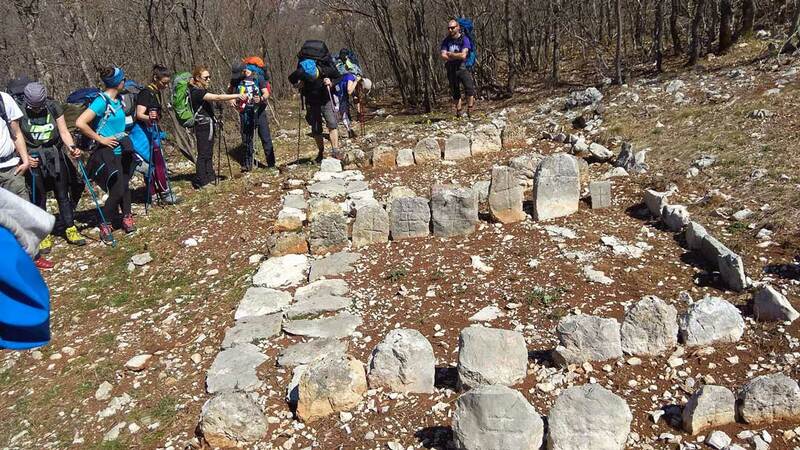 Walking along the mountain paths in Paklenica National Park you might stumble upon another evidence of human activity – mysterious carved stones that resemble graves. These unusual relics from the past are called mirila which can roughly be translated as “the measurement stones”. When somebody from the mountain communities passed away, neighbors, friends or family would take the body on a stretcher along the rough mountain paths all the way to the cemetery which was often far away. The carriers could rest only one time during the procession, usually on a mountain meadow approximately half way to the church. On this spot, they would carefully put the deceased down on the ground and mark the place with two stones, one behind his head and the other below his feet. This ritual is called “measuring the dead” and it is believed that the soul leaves the body once it is measured with mirilo. The carriers would then pick up the body and continue their journey to the nearest cemetery where the proper “Christian” burial would be held. But for the friends and family of the deceased, the grave itself had no meaning whatsoever. They would honor the deceased by bringing flowers to the spot where he was last “measured” and where his soul lies marked by mirilo. The ritual was considered to be “pagan” by the Catholic church whereas the orthodox priests** were more tolerant and would sometimes even bless the measurement stones. The exact origins of this tradition are still confusing the anthropologists especially because some of the carvings on the stones resemble pre-Christian and even pre-Roman symbology that somehow survived in the mountain communities until modern times. The oldest mirila found on Velebit mountain date from the 17th century and the last were built in the second half of the 20th century when this tradition disappeared. **Catholic and Orthodox Christian communities have lived side by side in Velebit mountain region for centuries; the difference being that Orthodox church does not acknowledge pope in Rome as the head of the church and orthodox priests can marry (there are other differences in interpreting the Bible but I will not go into details in this post). Mirila are usually found on mountain meadows near the old paths used by shepherds. To finish off this story about Paklenica let’s see what’s behind the name of the park. Paklenica probably got its name after the black pine resin locally called Paklina. This dense and sticky substance was used in local medicine to heal wounds, by the fishermen as a coating to protect the wooden parts of their boats that were constantly in the water and also as fuel for lamps and torches. The black pine that produces this flammable resin can be found everywhere around the park and you need to be extra careful during the dry summer months. Forest fires spread easily here so you should avoid putting up campfires or throwing cigarettes. Another danger is the bura wind that blows from the mountain tops and helps the fire to spread. This well-preserved forest rich with some unique species of plants and animals is the main reason why the authorities of ex-Yugoslavia protected this area as a national park in 1949. and it is why we as visitors need to be responsible as well.